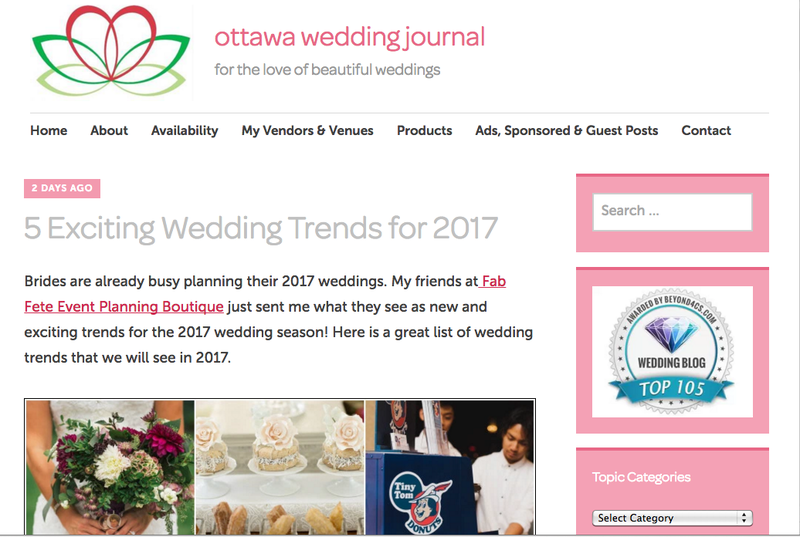 We are super excited and fortunate enough to have been featured in a blog post about the most anticipated wedding trends for 2017 by our friends at Ottawa Wedding Journal! Written by blogger and wedding officiant Dr. Alan Viau, the post features the top five wedding trends that we anticipate to be the most popular for the upcoming year. Check them out and see what is new in the world of colour schemes, late night food ideas, wedding themes, floral arrangements, and favours. Click here to find the post.